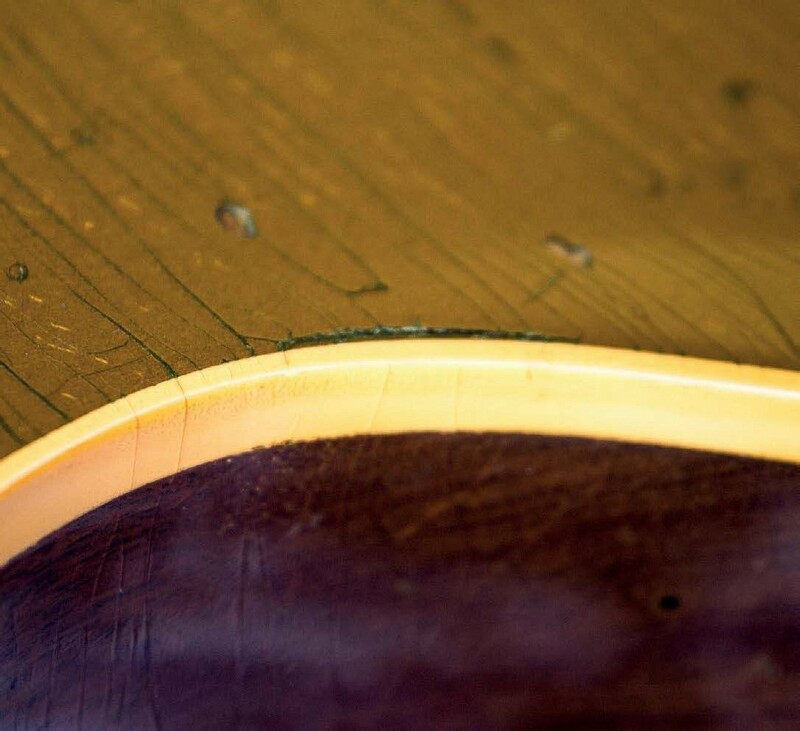 Last time around in our Greco conversion, we inished spraying gold, but the lacquer still needed to be removed all around the body’s top edge to reveal the binding before the final top coats could be sprayed. 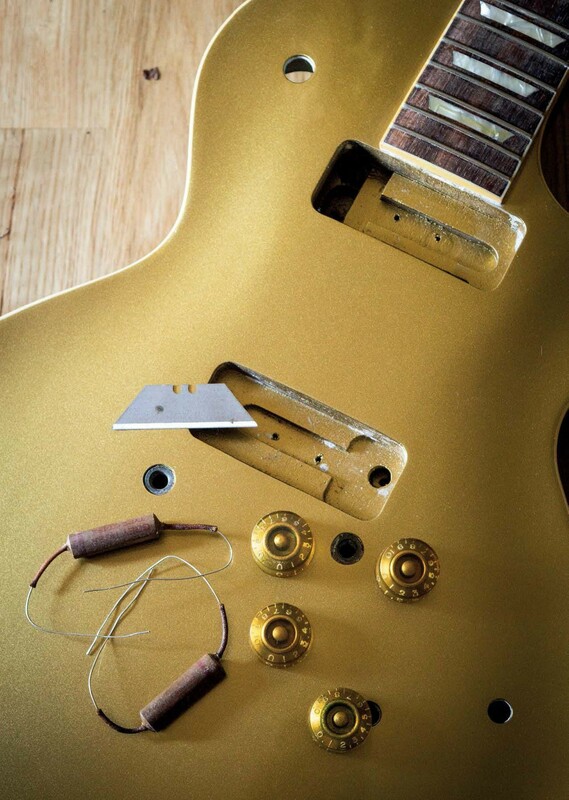 While getting ready to do this job, I find myself watching an online video in which famed Gibson relic-meister Tom Murphy demonstrates how to get clean lines, and binding that’s square and even in depth all the way around the top edge. 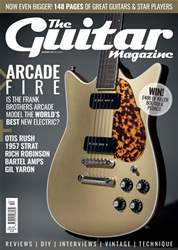 It’s highly impressive stuff from a genuinely skilled craftsman, and I’m all set to make a binding scraping tool when the loan of a real ‘54 Goldtop gives me pause for thought.